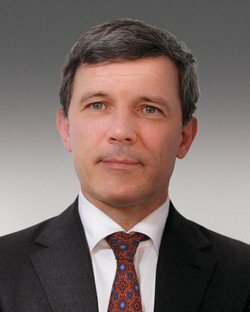 Jacques Derenne is the global co-practice group leader, antitrust and competition, of Sheppard Mullin. He is a partner, member of the Brussels and Paris Bars. He has 30 years of EU competition law experience across all areas, including mergers, cartels, abuses of dominance and state aid. Jacques Derenne regularly appears at competition hearings before the European Commission, and pleads cases before the General Court and the Court of Justice of the European Union, national competition authorities, the Belgian and French courts and various regulatory bodies. Jacques Derenne' state aid experience spans three decades, during which time he has acted for beneficiaries, competitors and member states before the European Commission, EU courts and national courts. He co-directed and co-authored studies for the European Commission on the enforcement of State aid rules at the national level (2006 and 2009), which contributed to the Commission's Recovery and Enforcement Notices in 2007 and 2009 respectively. He co-edited a book on the Enforcement of EU State aid law at national level – 2010 – Reports from the 27 member states (Lexxion, October 2010), and has written quarterly comments on State aid case law in the journal Concurrences since 2004 (together with EU officials). Jacques Derenne is also a professor at the University of Liège and at the Brussels School of Competition, teaching state aid law. He is a founding member of the Global Competition Law Centre (College of Europe, Scientific Council and Executive Committee). He graduated from the University of Liège (Belgium, 1987) and from the College of Europe (Bruges, 1988).